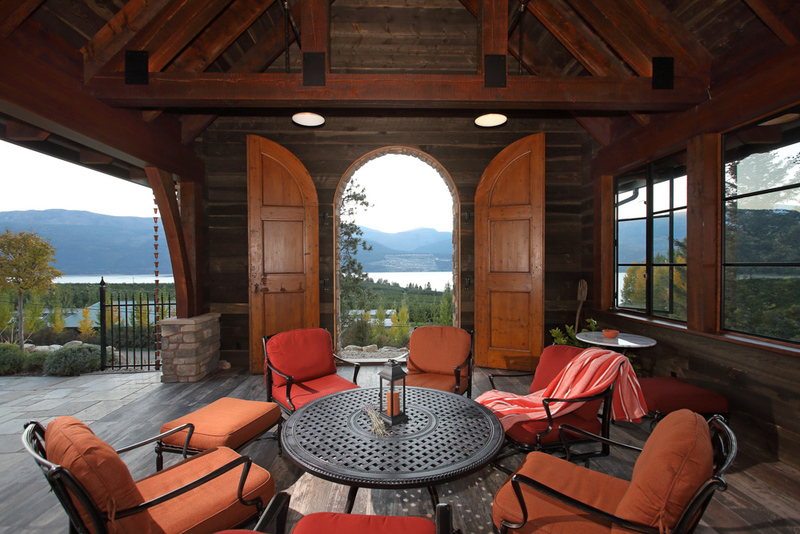 This Lake Country Cabana was inspired by a trip to France. 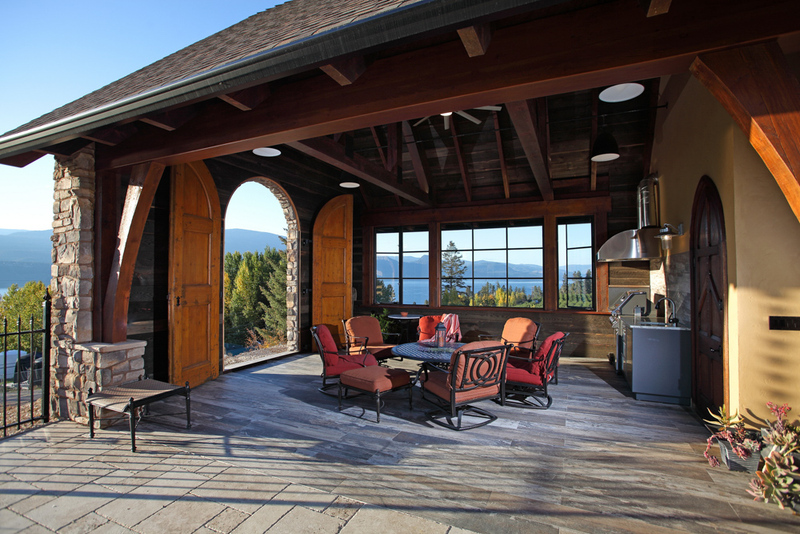 The owners used French country estate design elements in the creation of their poolside cabana and garage at their small rural acreage on a steep slope overlooking vineyards, orchards and Okanagan Lake. 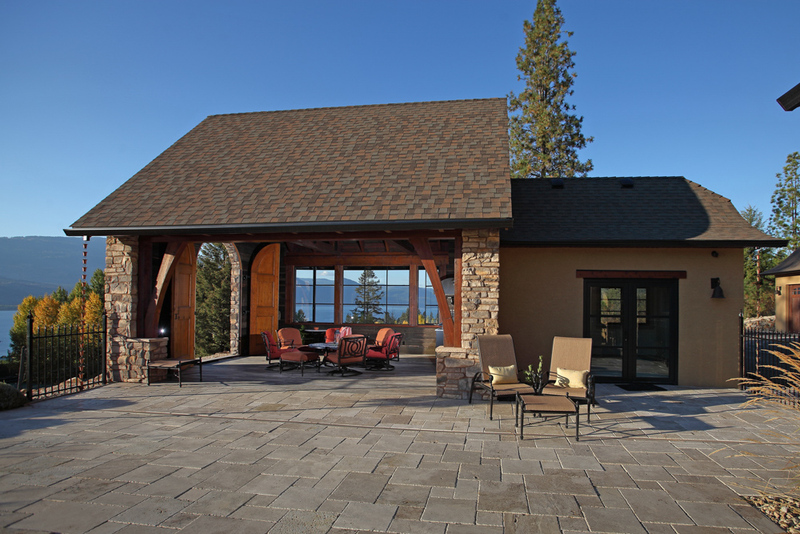 The cabana was designed to enhance the existing home, create an outdoor living space that shelters them from the elements and provide easy access to the pool and change room. 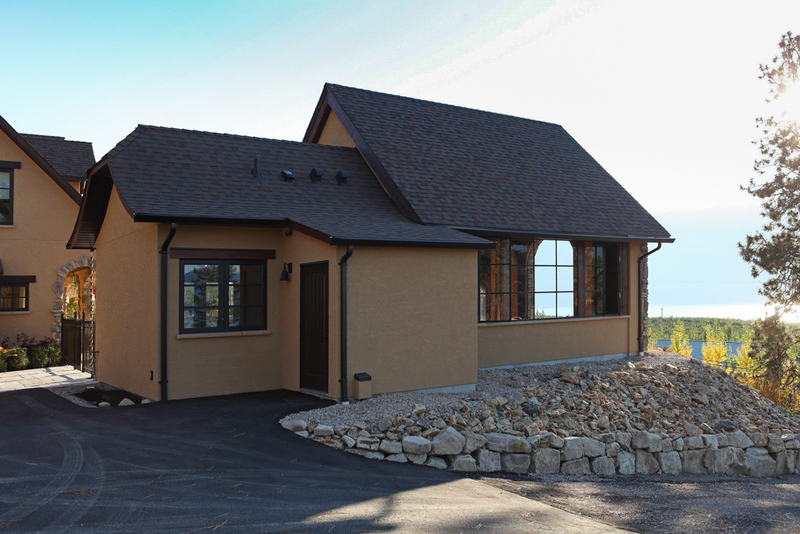 The exterior design elements include curved roofs, snub-nosed gables and acrylic stucco with stone accents. 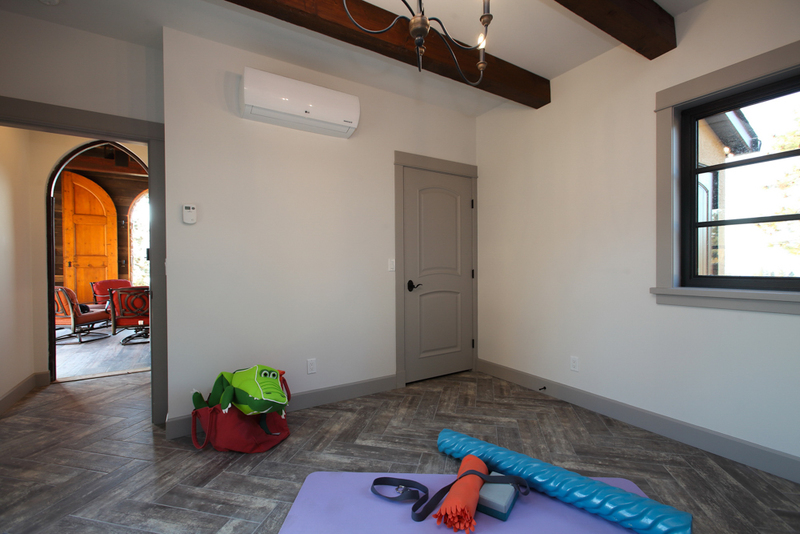 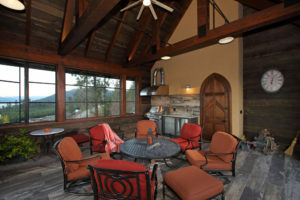 The interior has timber frame trusses and rafters with barn board walls and ceiling. 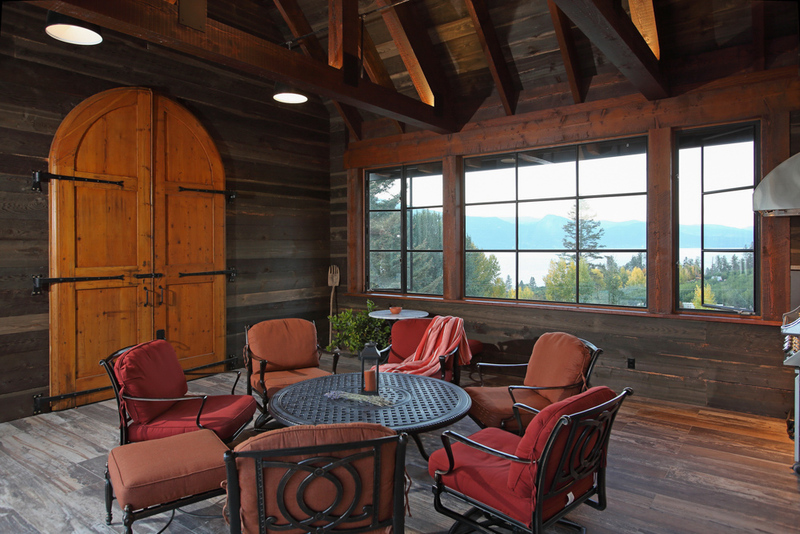 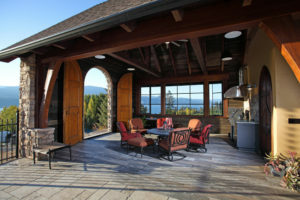 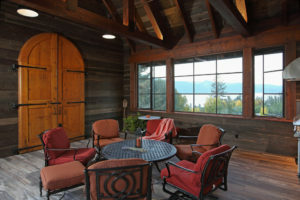 A pair of imported 19th-century carriage doors and a replica steel industrial window were installed to open the space to the breeze and views. 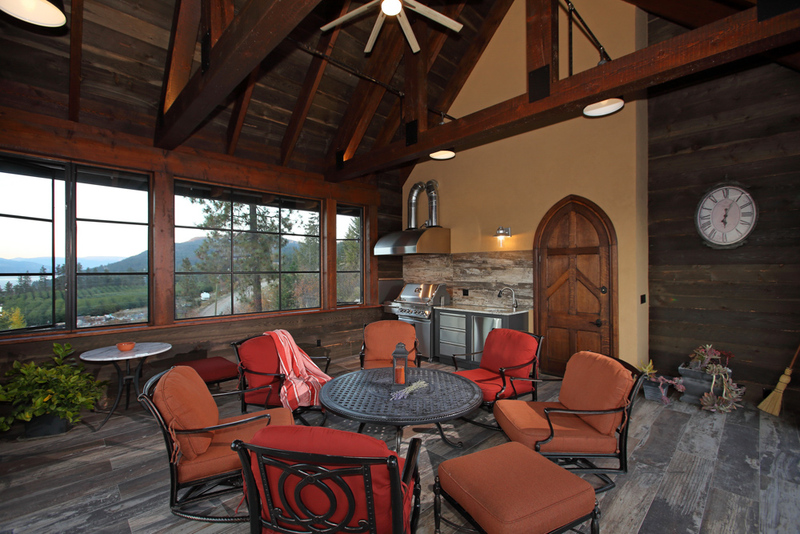 A stainless steel barbeque and kitchen were installed for summer cooking. 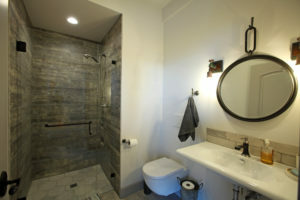 The changing room and barrier-free bathroom are accessed by a 19th-century mahogany church door. For easy cleaning and safety, all the floors were finished with non-slip tile floors. To complete the package, the yard was landscaped with low maintenance shrubs and covered in various shades of Oyama red shale.